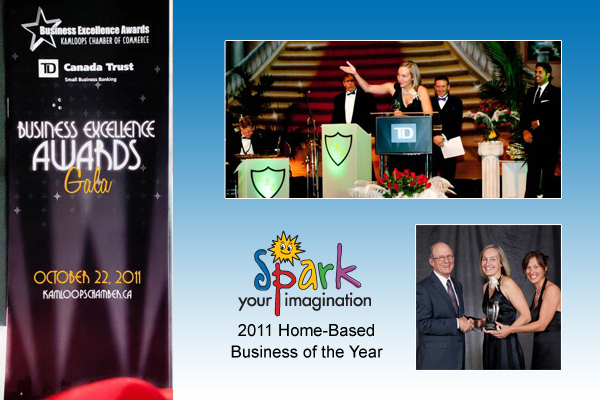 We are very honoured to have received a 2011 Kamloops Chamber of Commerce Business Excellence Award. Kamloops is a wonderful place to grow a business. It is full of mentors and cheerleaders. We are thankful for the support we have received across Canada from our retailers, customers, family and friends. We look forward to continuing to help fuel imaginations as we move into 2012!